MSI MPG Z390 Gaming Edge AC, form factor ATX, chipset Intel Z390, RAM 4x DDR4 DIMM, dual PC4-35200U / DDR4-4400, max. 64GB, expansion slots 3x PCIe 3.0 x16, 3x PCIe 3.0 x1, 2x M.2 / M-Key (PCIe 3.0 x4 / SATA, 22110/2280/2260/2242), external connections 1x HDMI 1.4, 1x DisplayPort 1.2, 1x USB-C 3.1, 1x USB-A 3.1, 2x USB-A 3.0, 2x USB-A 2.0, 1x Gb LAN (Intel I219-V), 5x jack, 1x Toslink, 1x PS / 2 combo, 3.0, 4x USB 2.0, 6x SATA 6Gb / s, 1x serial, Audio 7.1, RAID level 0/1/5/10 (Z390), Multi-GPU NVIDIA 2 -Way SLI, AMD 3-Way-CrossFireX, RGB lighting, special features Audio + solid capacitors, Diagnostic LED (LED indicators), Bluetooth 5.0 + WLAN, manufacturer's warranty three years. With the new Coffee Lake-S Refresh, a new generation of motherboards is also appearing, which now manifests itself in the form of the Z390 chipset. The Z390 is the new top chipset for Intel's Socket 1151 mainstream platform and will complement the Z370, and unlike the leap from Z270 to Z370, compatibility with old CPUs of the 8th core generation (Coffee Lake-S) remains. The board uses the Z390 standard equipment and waives largely on additional chips if they are not necessary. You get here so a configuration with two M.2 ports, up to 6 SATA ports, three PCIe X16 slots, but only two of which are really intended for the use of graphics cards and also reinforced with the well-known MSI PCIe Steel Armor, in addition to the MSI-typical features with Audio Boost 4, gold plated connectors and the typical good MSI software, the board uses of course the features of the Z390. This means you get natively connected USB3.1 Gen2 ports and also an Intel Wireless AC9442 module that uses CNVi and provides WLAN and Bluetooth to the latest standards. Probably the most significant changes to the new generation have less with the chipset itself so with the quite changed since the Z370 "philosophy". With the new CPUs with significantly more cores, the manufacturers place significantly more emphasis on better voltage conversion and cooling. Both things that cost quite money and have led to that in the middle class of optics factor is declining again. With the Z390, you can get everything the gaming heart desires and the markup between Z370 and Z390 is appropriate. The cooling of the MSI MPG Z390 Gaming Edge AC makes a great impression. 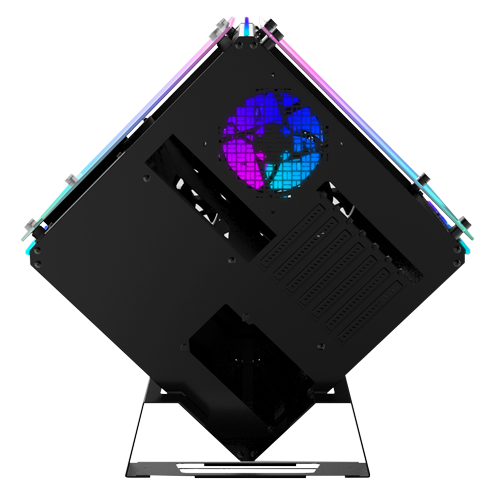 Finally, coolers are used again, which are also there for cooling and serve not only the optical beautification of the mainboard. Especially on the large cooler for the voltage conversion, you realize that. It offers a really good heat distribution and keeps the voltage transformers at good temperatures. Overall, the new MSI MPG Z390 Gaming Edge AC delivers a convincing performance. One could briefly say the Z390 is the better Z370. This not only applies to the chipset itself, but simply to the completely updated platform with the latest BIOS for fast memory, improved features and new coolers.